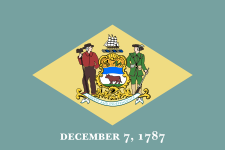 Forklift License in Delaware: Training Schools & Salary - Be Certified Today! Forklifts are powerful machines used to lift heavy loads. They are quite common in many types of workplaces. You would no see a warehouse without these machines being utilized. These characteristics make the forklift the number one cause of serious injury and even death. This is why forklift safety training is important. It enhances the knowledge of the operators in the safe operation and instills safety awareness among them. Taking the forklift training is not as complicated as you think. It is quick and easy to complete. In just as short as 8 hours or less with a little money in your pocket, you can be certified. At the end of course, if you’re successful, you will receive a certificate and/or operator card. Many people referred to it as a forklift license. This is your credential proving that you had completed such a certification course. Having a forklift license in Delaware is an absolute requirement when operating forklifts. If you are an individual who wants to be a forklift operator, being licensed can boost your chance of getting a job. If you are an employer wanting to certify forklift operators, it prevents accidents from occurring in the workplace. There’s no reason why you should not take a certification course to have a forklift license. You will earn great advantages in doing it. To help you achieve your goal of a being certified forklift operator, we came up with this article to help you on your journey. The certification course varies depending on who is conducting the training. It involves several steps to complete. Comply the training requirements – there is a minimum requirement such as having a high school diploma or GED, the student must be 18 years old at least, be in good shape and mental awareness, and no derogatory record. Look for a training school where you want to take the course - the training schools in Delaware are stated below for your reference. When choosing a forklift training school, here's a guide on how to choose the right school. If you’re an employer, you can arrange that the course be conducted on-site. Attend the classroom training – as part of the certification course, the classroom training is required. There are several methods the classroom training can be taken. It could be administered either in-person or through online training. The in-person training is what we recommend. Take the written test – you would not find an OSHA regulation requiring students to take the written test. But this could be administered as part of the certification to evaluate your knowledge. To pass the test, you can read this How to Pass Forklift Written Exam guide. Attend the hands-on operation – this is referred to as the practical training. At this stage of the course, the trainer will do the practical demonstration, you will do the exercises. This will prepare you for skill assessment. Get your skill assessed - The trainer will oversee your performance and will grade you. To pass the practical test, browse through this How to Pass the Practice Test. If you failed, you can still take until you pass. Here's an article for you read when retaking: Can You Retake the Forklift Training Test. Receive your certificate – if successful, you will be awarded a training certificate and wallet-size license card. You can present these documents when applying for a job or present to your employer proving your competency driving forklift trucks. Recertification is needed every three years. To renew your certification, you can read this How to Renew Your License guide. Refresher course is conducted in some circumstances such as if the operator has been observed operating the forklift in an unsafe manner, if the operator is involved in an accident, if the operator has received poor performance evaluation during a certification course, if the operator has been assigned to operate a different type he is not familiar with, or if the workplace has changed that could hamper the safe operation. If you are an individual seeking for a course, a pro wanting for a skill upgrade, or an employer looking lookinf for way to train employees, you need to contact a training school near you and enroll for the course.Here are the schools that offer forklift training in Delaware. A forklift operator is required to take the training specific to the type of forklift he wants to operate. The topics must emphasize general procedures of safe operation, hazards analysis and risk assessment in the workplace. If you are an employer, you can arrange a schedule so that the training can be conducted at the workplace. This is ideal and advantageous for you. If you desire, you can take forklift training from another state, like in the neighboring state of Maryland. The certification is recognized across states. How Much Would It Cost You to Get Forklift License? Can You Get a Job If You Have DUI on Your Record? Is Online Training the Best that Suits Your Need? Satisfy OSHA in case inspector will visit your site. If you can show your maturity and experience toward your job, you can be promoted to become as a team leader or line supervisor. If you want to take another route, you can be your own company's internal trainer. Can You Work in Other State Using Your Forklift License? Can You Be Employed in Other Country Using Local Country's Forklift Certification? Can You Get a Job in Other Company by Presenting Your Current License? When you are really serious about getting into this career, you can scour through this to understand what really are your qualifications as the forklift operator.